The Central Information Commission (CIC), the Central right to information (RTI) watchdog, has ruled that the Cabinet Secretariat “cannot deny access” under the RTI Act to “the items on the agenda placed before the Union Cabinet after a meeting is over”. In a ruling on an RTI plea by well-known RTI activist Venkatesh Nayak of the Commonwealth Human Rights Initiative (CHRI), the CIC has also advised the Cabinet Secretariat to “put in place” a mechanism to monitor departments and ministries for their compliance with the requirement of sending monthly reports of work done by them to it. 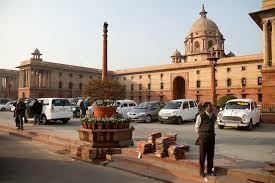 The order further says that it is “advisable” for Ministries and Departments to upload the ‘unclassified portions’ of their monthly reports to Cabinet Secretariat on their respective websites. Nayak, in an email alert, says that it has been the “general practice” of the Union government to issue press releases on the decisions taken by the Cabinet after each meeting, which are disclose are uploaded on the Press Information Bureau (PIB) website. Nayak submitted an RTI application for the agenda items discussed by the NDA Cabinet from August 2014 onwards. The Central Public Information Officer (CPIO) rejected the request invoking Section 8(1)(i) of the RTI Act relating to Cabinet confidentiality. The First Appellate Authority (FAA) upheld the order stating that it was up to the concerned Ministries to take the call about whether the matter discussed by the Cabinet was decided upon and the matter was complete or over. However, the CIC ruled in favour of access to information. In 2004-05, thanks to intensive campaign by activists, Cabinet papers were allowed to be disclosed under the RTI Act in India subject to certain restrictions such as completion of the decision-making process and non-applicability of other exemptions listed in Section 8(1) of the Act. “The situation is the same at the level of most State Governments. Transparency applies not only to panchayats, municipalities and the district administration but also to the highest decision-making bodies in the States and at the Centre”, he adds. “If similar reporting systems exist at the level of the States, RTI users may engage with the departments to make such reports public. If such systems do not exist they may advocate for the adoption of such reporting systems”, he adds. The simple solution is uploading such information voluntarily in their websites even at least after CIC decision, as Govt must respect Commission and should stand as example other departments.